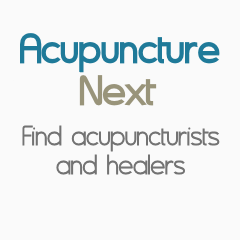 Acupuncture Healthcare Specialists - What Is Qi? I tell my patients that the concept of Qi as energy is actually a mistaken translation of the Chinese symbol. There is a pervasive thought that acupuncture works on moving mysterious channels of qi throughout the body. What is this Qi and why can't you see it? Where does it travel? One explanation is that the ancient Chinese physicians, who performed dissections and examined the body in great detail long before Western Medicine guides were published, used the term Qi to denote vapor. This can be thought of as oxygen. In this sense, acupuncture is a vascular medicine that relates to the movement of oxygen and blood throughout the body. When there is enhanced bloodflow, there is better health. Acupuncture helps to activate the body's nervous system, which tells the brain to increase the amount of oxygen and bloodflow to certain parts of the body to enhance health, reduce pain and promote healing. For more information, please contact my website or look for future blogs.